Australian fanwriter, conrunner and editor. Member or former member of Adelaide University Science Fiction Association (AUSFA), Australian SF Foundation. Winner of Ditmar Award for Best Fan Writer in 1987. DUFF winner in 1996. 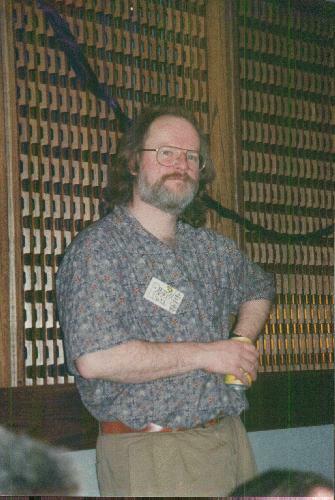 Concoms: Unicon III (1977), Advention '81 (the Australian Natcon), Anzapacon 2 (1993), ARCon (1995), Treasurer of Aussicon Three (1999 Worldcon), co-chairman of Aussiecon 4 (2010 Worldcon).